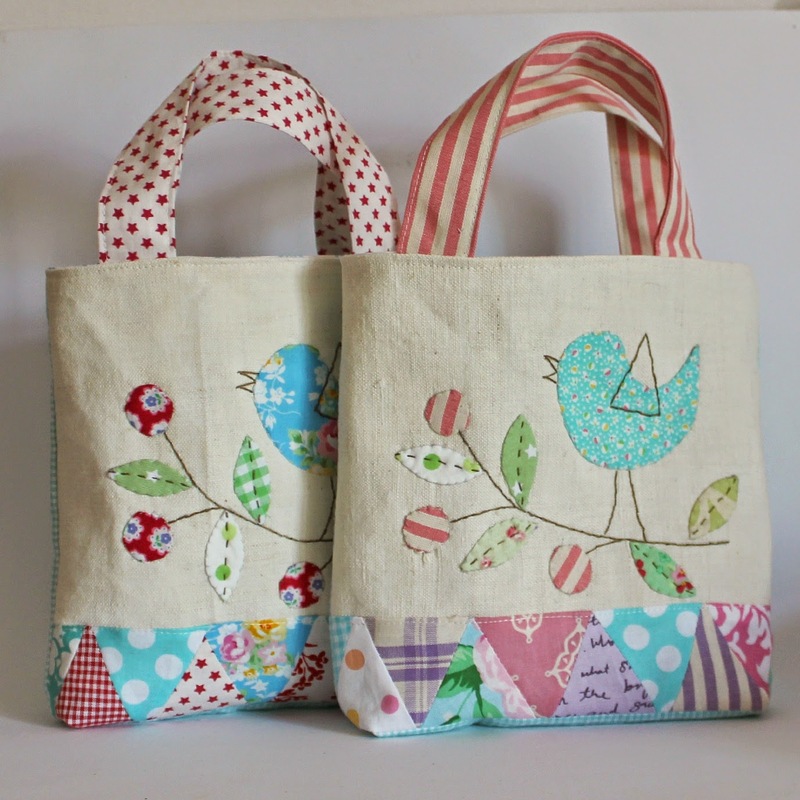 A couple of weeks ago I finished these sweet totes. I love this birdie design on a branch with berries. To make the bag a little more interesting I also added a little patchwork at the bottom.